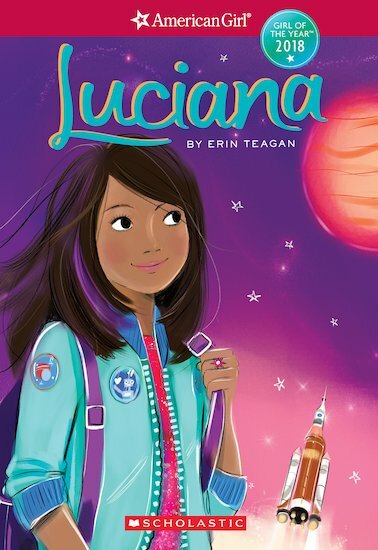 Get to know American Girl’s 2018 Girl of the year, Luciana, in this first book in her series! Luciana is over the moon—she’s going to Space Camp! But when she’s picked to lead her team in a robot challenge, instead of rocketing her crew to success she steers them straight into trouble. After that, her teammates don’t trust her. In fact, Luci’s pretty sure they don’t even like her. It’s great to be good at science-but Luci learns that it’s not enough. If she’s ever going to make it to Mars, she’s got to be someone her crew can depend on, no matter what.